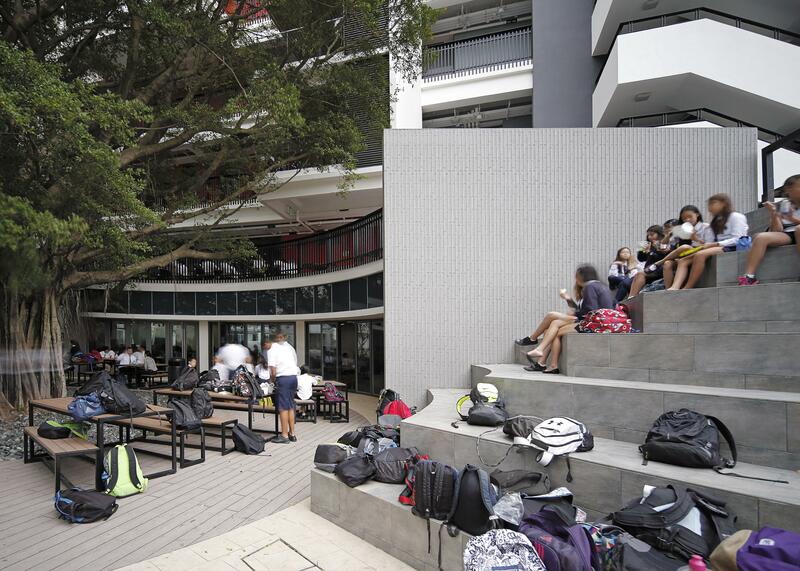 The brief called for a state-of-the-art Performing Arts block designed to blend in with the existing site context, responding to the school’s spatial needs and the demand for the campus facilities to be upgraded and expanded. 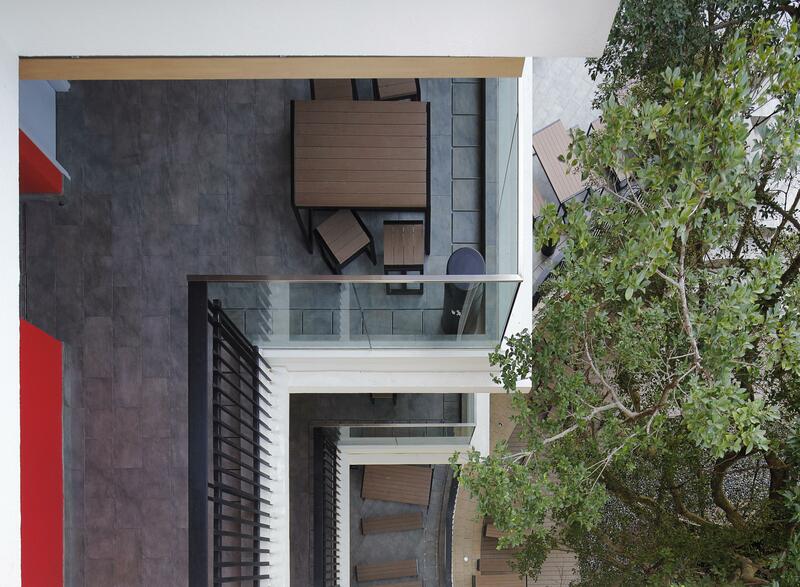 The new design ingeniously turned the constraint of an existing 18m-high Banyan tree behind the old canteen into the central theme ohttp://www.aiahk.org/wp-admin/post-new.php?post_type=portfolio-itemf the new building. 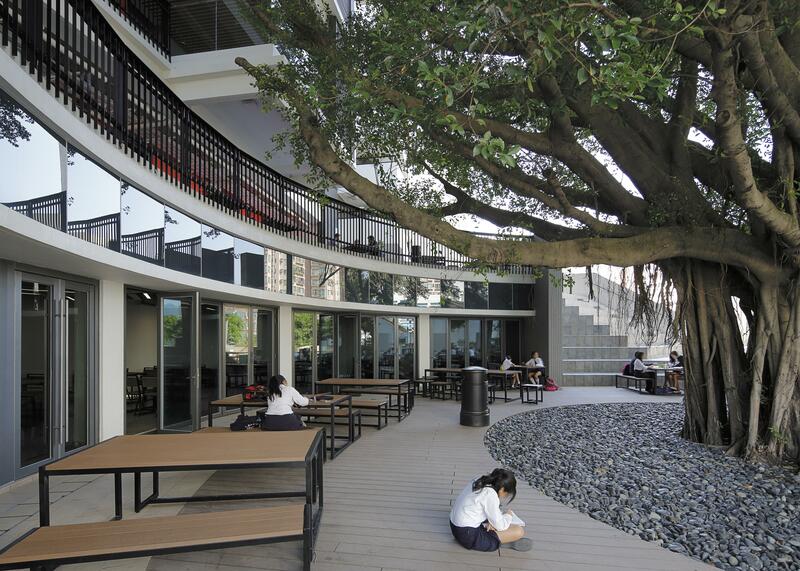 The form of the new canteen, now occupying the lower two storeys of the new building, “embraces” this tree. 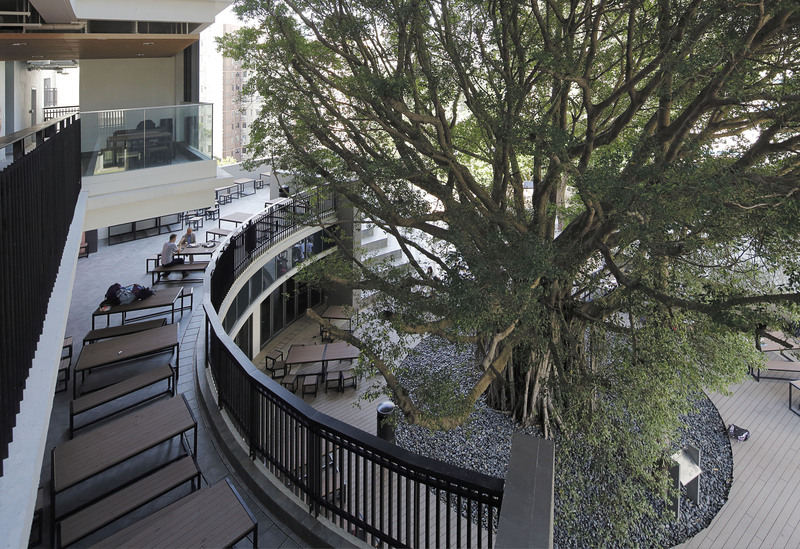 An amphitheatre was carefully designed around the tree, allowing space to flow from the Performing Tree Deck up to the first floor of the outdoor canteen patio, blending the indoor and outdoor environments into one commons and providing a seamless connection with the open grounds of the main campus. Balconies outside the music and drama studios are provided on each floor, functioning as breakout spaces and performing pods; each overlooks the tree and the performing deck. Colours were introduced to the façades, adding vibrancy to the campus. 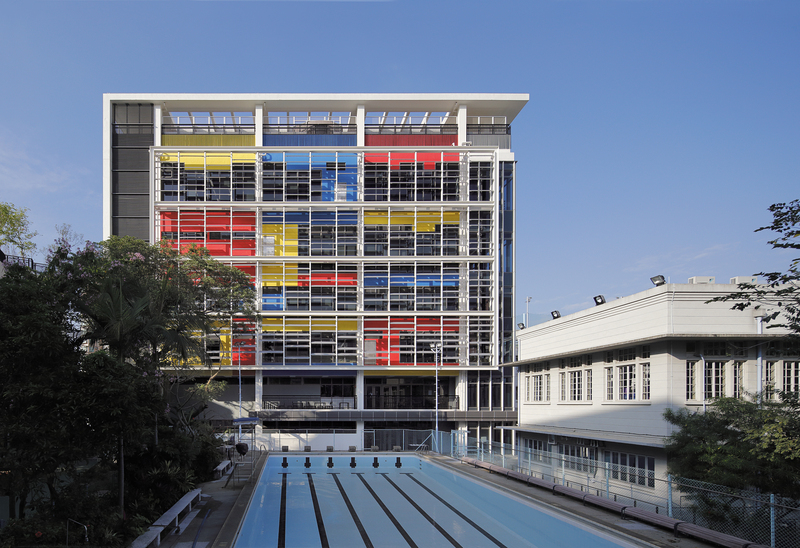 Given the artistic nature of the building, the three primary colours, red, yellow and blue, were chosen as the theme colours. The south façade was painted in colour patches, making reference to the composition treatment of abstract expressionism. 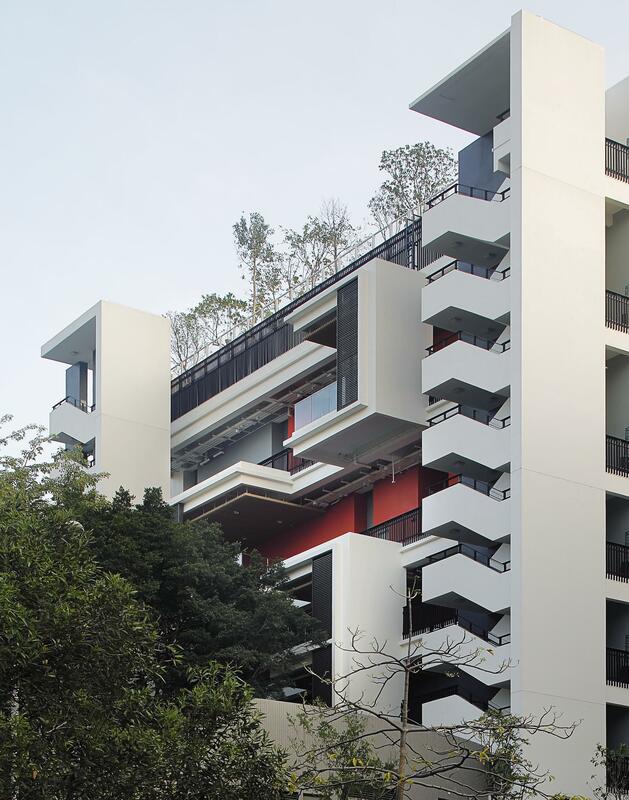 Standing behind the subtle shade of the horizontal sun-shading fins which shield it from the southern sun, the south façade resembles a collage of sculptures created on a large-scale canvas.